Learn how to write a book fast, even within 24 hours - and start selling it online! You're about to meet a very powerful genie. This genie will give grant you a very amazing wish: become a published author within a week!... He will teach you how you can write books so fast, it will literally blow your mind! don't believe it is possible? read on.. If you are dreaming of creating an additional income writing and selling your own books - this book is perfect for you!. 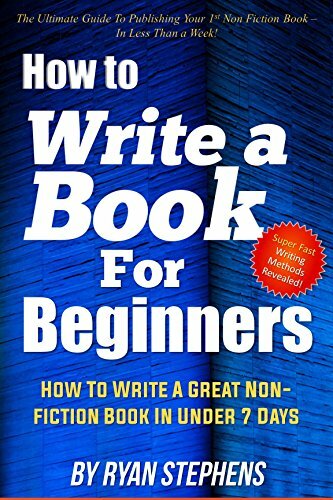 How to Write a Book for Beginners - shows you how to outline your book, write it as fast as humanly possible and then publish it for passive income. You'll learn to feel focused and relaxed as you achieve this goal.